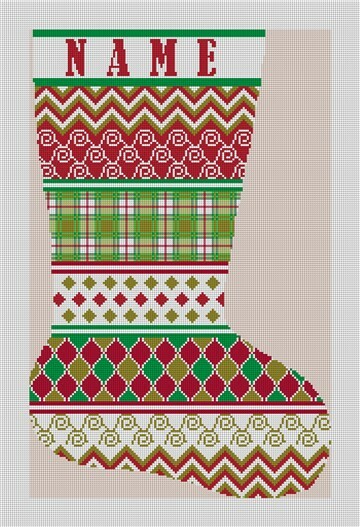 Beautiful patterns come together for a festive but modern needlepoint stocking. Parts of this design are ripe for bargello stitches, and the colors can be customized to the stitchers choice. Each stocking is also personalized, so be sure to put your name into the notes and we will email you a preview before your canvas is made.